Whether you’re just starting your first online venture or you’re going into a new niche, you want to hit the ground running. And because success loves speed and so does your wallet, these tips are designed to give you maximum boost for the effort. Get your Unique Selling Point together. What makes you different? What sets you apart? Don’t say quality or price – everyone says that. Find your own unique voice that can be heard above the noise of the crowd and all of your marketing endeavors will become that much easier. Decide exactly what you want. You can’t reach a goal if you don’t know what it is, so what’s your chief objective? To build a loyal list? To sell a particular product or service? To become the trusted authority in your field? Decide what you want so you can choose the best methods to get there. Decide exactly who your target customer is. You can’t market to everyone, so create a profile of your ideal customer and then cater all of your marketing and content to that profile as though you were speaking one on one. Get some partners. These partners will vary according to your goal (Building a list? Selling a product? Etc.) and according to who your target market is. Decide who is in a great position to help you reach your goal, and then start building alliances with them by asking them what you can do for them. Let’s say you can write – offer to write blog posts, articles, emails, etc. for them. Think of it as paying it forward. Yes, it works. The alternative is to approach them with an exciting goal, like raising a large amount of money for a cause or charity. Potential JV partners will often lend a hand to be a part of something big and newsworthy. Get social. Choose the two social networks that are the best fit for your new venture. Create new profiles just for your venture and start reaching out. Incentivize people to share by offering them a bribe (ebook, video, etc.) or by running a contest. Get your content on. Create content for your blog or website, social media content, videos, etc. Make it INTERESTING, make it informative, make it enjoyable. Mix in a little controversy (if possible) and you’ve got a recipe for share-ability. Don’t just write and post your content, SHARE it. Use social media, guest blog posting, email and any method you can to get your content out there. Give away small tastes only. There’s a theory that if you give away all your best stuff, customers will line up in droves to buy your products. But if they’re already getting your very best stuff for free, why would they? Because they think what you’re selling is even better. You can guess what happens when they realize it isn’t. Instead, only give away nibbles of your information. Tell them what to do, but don’t tell them how to do it. Make them buy your product to find that out. This is the secret of the marketers who charge 3 and 4 figures per product – they don’t give away their best stuff, they make the customers pay for it. And one more thing – people appreciate what they pay for. Want your customers to not appreciate you? Then give away the farm. 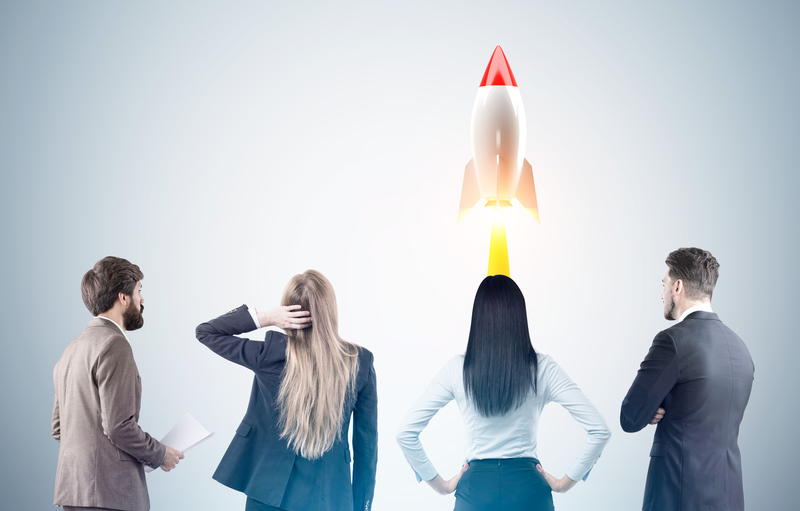 There you have it – 8 tips for launching your next IM venture. These are the solid techniques that build businesses. And you’ll notice something – no where in here did you see a gimmick or the latest piece of software. There’s no need to reinvent the wheel because building a solid business means using the rock solid basics that have been proven by successful marketers to work time and time again. The post 8 Tips to Get Your New Business Off the Ground Fast appeared first on .